Are you in search of office project planning help in Charlotte or a nearby area in North Carolina? If so, allow the talented, experienced staff at Relocation Strategies, Inc. (RSI Charlotte) to serve your needs. 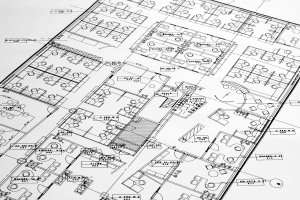 Whether you’re relocating to a new office space, expanding your current office, or redesigning your floor plan, we can make the project planning process simpler than you ever thought possible. Vendor selection and management – RSI Charlotte will source renovation contractors, electricians, painters, IT firms, and all other vendors needed to transform your office into the space you need it to be. Commissioning and decommissioning – If you’re moving to a new location and leaving old furniture or other assets behind, we’ll assist in the liquidation process. Office layout design assistance – We can design or redesign your floor plan and systems furniture to ensure that no space in your office goes to waste. To find out more about how we can assist you with office project planning for an expansion or a move, please contact RSI Charlotte today. Whether you’re already in Charlotte or are relocating to the Queen City, we’ll be pleased to serve you.